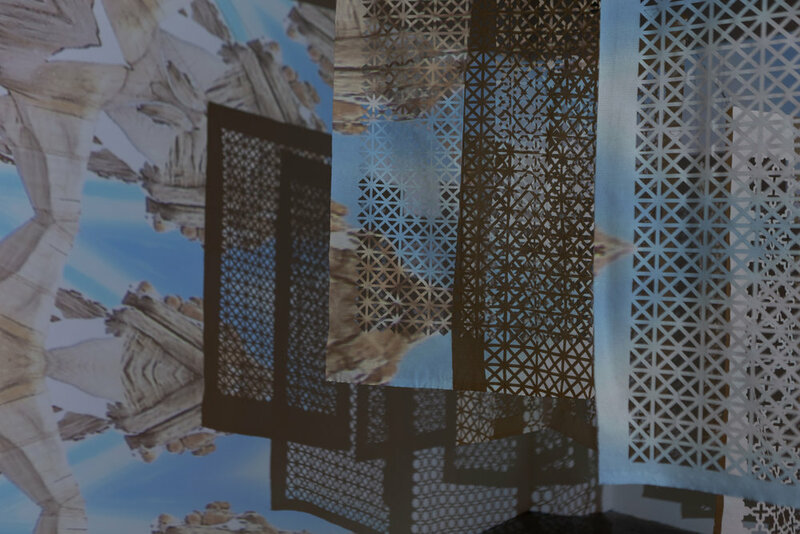 Drawing on a quote by author Fadwa El Guindi “Who has the power to see, but not be seen?” Farah uses the metaphor of the Mashrabiya, the wooden lattice work on oriel windows that is an iconic feature to Islamic architecture. This concept is also incorporated in veiling garments in some parts of the MENA region. 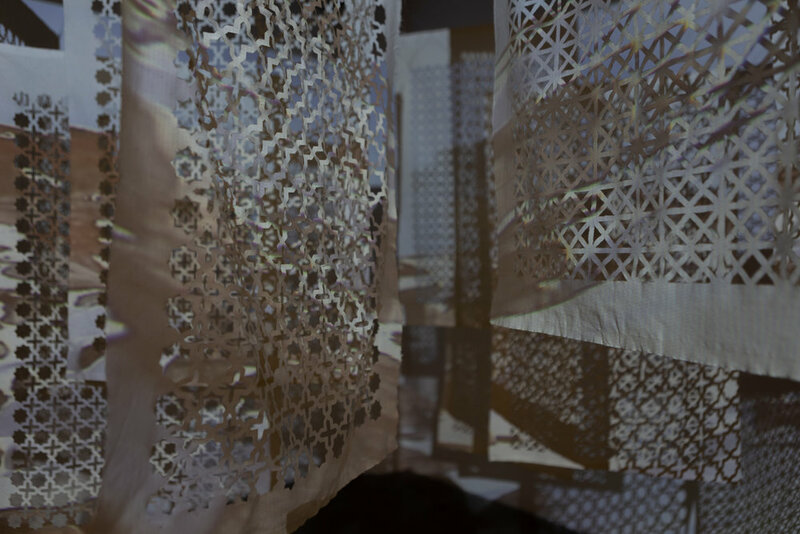 For her work, Farah creates a reinterpretation of the Mashrabiya screens made out of fabric to explore both the spaces as portals between visibility and invisibility. The video work shows desert landscapes with rock formations created by their vulnerably when exposed to weathering while veiled in snow, along with footage of a shadow figure lost in white sands. The play on kaleidoscopes eco’s the illusive nature found in vision, pattern, and structure formation. These structures are reflective of the realms of access, agency, and power in personal, social and systematic encounters. 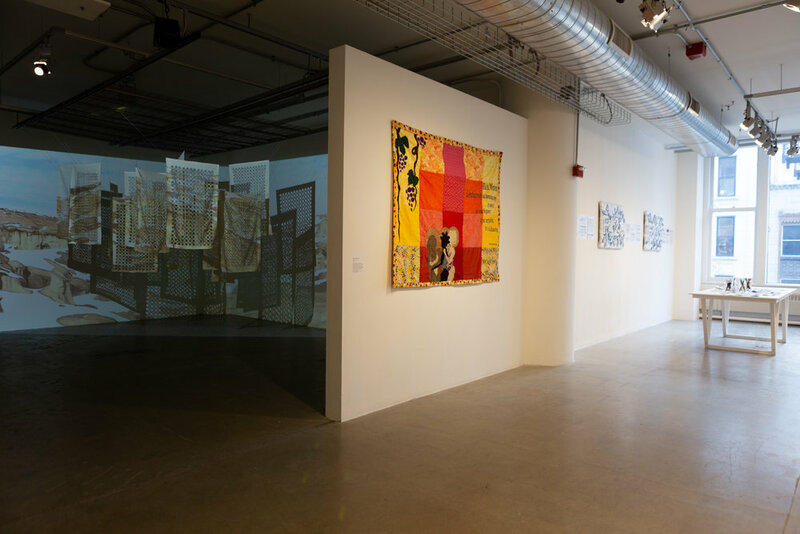 Farah’s artwork addresses the politics of seeing with a commentary on systems and power dynamics informed by experiences inside and outside of art therapy theoretic frameworks through an immersive installation created by the illusion of structures.